As part of the ongoing May 4th celebrations, EA have offer Star Wars Battlefront players a few incentives just for logging in and playing the game today. It really is as simple as that: all you have to do is log into the game anytime today and you will receive an allotment of 4,444 credits. Along with the Star Wars Day festivities, a new Hutt Contract is also available. This new feature gives players the chance to pay credits and then complete bounties to earn rewards. In this case, spending between 3500 and 8000 credits unlocks new bounties that will let you get your hands on the Bacta Bomb Star Card, which adds a health boost to you and your teammates. 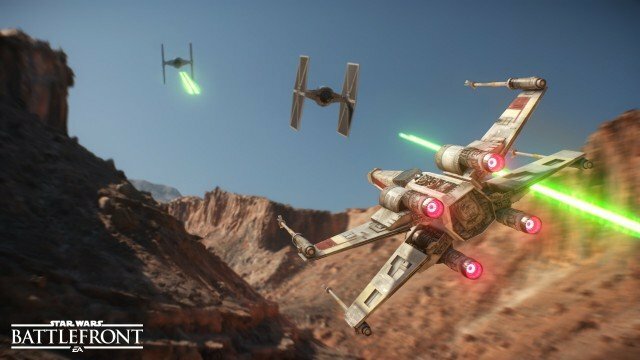 EA have also offered PC players the opportunity to experience Star Wars Battlefront free for four hours today, though it’s worth noting that this only featured the base version of the game; none of the DLC was available for this. Star Wars Battlefront is just one Star Wars title that has been featuring heavily on May 4th; earlier today we brought you news of the latest trailer for LEGO Star Wars: The Force Awakens.